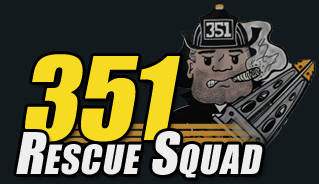 The Green Mountain Boys run Engine 355. The engine is a 1999 Spartan/Saulsbury custom rig outfitted with a 1500 gallon per minute Waterous pump. The engine carries two 200′ pre-connected crosslays, which serve as the Department’s primary means of fire attack. The engine can carry eight firefighters (including the chauffeur and officer) and is distinguished by the prominent green stripe that runs all around it’s body. 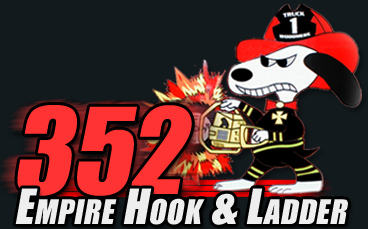 Engine 354, or “The Wagon,” is a custom 1999 Spartan Gladiator/Saulsbury Pumper. TheWaterous pump is rated at 1500 Gallons per minute and has four preconnected lines. The engine carries almost 5000 feet of hose. Ladder Truck 352 is 1999 Spartan/Saulsbury Custom rig. The LTI Rear Mounted Ladder, extends 110 feet and is equipped with an attached waterway. The cab seats six firefighters in addition to the chauffeur and officer. Squad 2 runs Heavy Rescue Truck 351.This specialized unit is a Ford F-550 Heavy Duty 4×4 crew cab, with Paratech Highway Strut Stabilization equipment as well as Paratech Highway Air Bag Lift Equipment. The Technical Rescue is also equipped TNT SLC -28 Spreaders with 10,500 PST and 156,000 lbs. of cutting force, as well as TNT S-200-32 Spreaders with 10,500 PSI and 36, 400 lbs. of cutting force. This unit is also equipped with the CMC US&R Team MPD Rigging Kit. 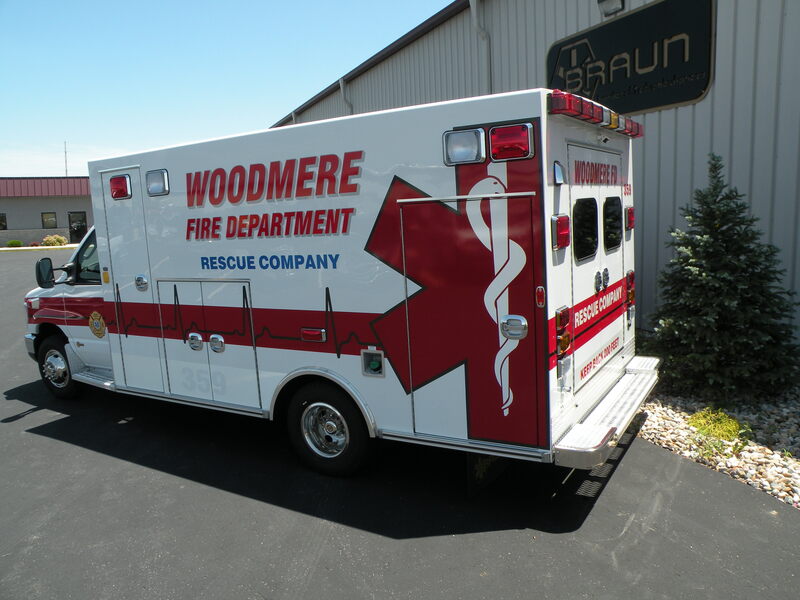 The Woodmere Fire Department is proud to announce the arrival of their newest apparatus — a Braun 2009 Chief XL. This unit will be replacing the department’s 2003 MedTec ambulance and will act as the first due to all rescue alarms. The MedTec will continue to serve the community as our department’s second-due ambulance. The ambulance is equipped with the latest in emergency medical transport technology. A brand new Philips MRX Cardiac Monitor will enable Advanced Life Support Technicians the ability to provide the highest level of pre-hospital cardiac care. Additionally, a new Masimo Rad-57 monitor will enable Emergency Medical Technicians the ability to detect oxygen and carbon monoxide levels in a patient’s blood. The Woodmere Fire Department is confident that this newest addition to our fleet will enable us to continue serving our community’s emergency medical needs well into the future. The Woodmere Fire Department Rescue Company has two ambulances available for response. 359, our first due ambulance is a 2009 Braun Chief XL completely stocked for both Advanced and Basic Life Support responders. 3591 is a 2002 Medtec Ambulance built on a Ford E-450 Super-Duty Chassis. The bus is completely stocked for Advanced Life Support level care.